This isn't the first time ambient music has been used to present a musical tableau of a city, but it's certainly a surprising choice from these two artists. 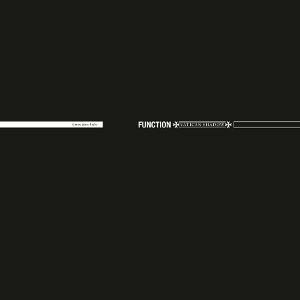 Function, aka David Sumner, was after all one third of acclaimed electro deconstructionists Sandwell District, whose abrasive take on techno and dance provided a timely–and uneasy–injection of energy to familiar forms back in 2010 and 2011. Vatican Shadow, meanwhile, is an alias of Prurient's Dominick Fernow, a man who may have transcended his noise background some time ago but who is still associated with words like "harsh", "brutal" and "angry". How is it possible, many may ask, that they've turned away from their familiar edginess in favour of ambient music? It's a dumb question, of course. Fernow and Sumner are experienced and talented producers, so they can do whatever they like with us fans, safe in the knowledge that the results are likely to be at least interesting and more likely exciting. Having said that, it still comes as surprise that Games Have Rules is quite so quiet. I mean, the album is a sonic reflection of the duo's current city of New York (at night), and in my experience, it's not a particularly quiet place. But by dropping the volume levels, Fernow and Sumner hone in on the minutiae of their city at night, the background textures of their experience and the intricate details that mostly go unnoticed by the masses. The album is imbued with a sort of listless melancholia, as if recorded in the witching hour between midnight and dawn after too many hours of excess and clubbing. Despite having only the faintest esquisse of thematic and sonic similarities, the mournful music of Burial immediately springs to mind when listening to Games Have Rules. Set alongside the main body of both artists' work, Games Have Rules therefore feels like a withdrawal, the title hinting at a reluctance to engage with dynamics of late-night social interaction, which would hardly be surprising given how little their austere musics are linked, even at their most beat-heavy and danceable, to the standard night out requirements of revelry and jollity. Most of the tracks drift and linger like the wisps of smoke emanating from vents in the Big Apple's pavements, with rhythm seemingly surrendered to the sort of brooding ambience you'd expect on a Tim Hecker album. Listen closer (this album massively rewards listens on the headphones) and sullen sub-techno beats emerge like caterpillar tracks running under a vehicle. Jittering sonic eructations, bleeps and bloops are scattered over most of the tracks, lingering, inchoate like distant sirens and machinery heard through a hotel room window. There's an emotional strand running through Games Have Rules but–perhaps because distinguishing who is doing what is impossible–it's subdued and ambiguous, something which adds to the album's crepuscular nature. Games Have Rules may represent a shift for both Fernow and Sumner but it's far from the dramatic change many might think. Instead, it represents an intriguing evolution by two artists who seem to delight in tweaking electronica to elicit fresh impressions of modern urban dystopia. It might not be an essential statement by either artist, but it lingers in the memory like a troubling dream in the small hours of the morning.